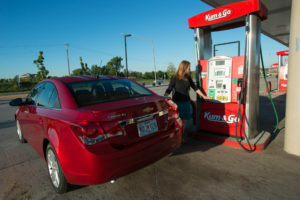 The Kum & Go chain markets Xtreme Diesel to consumers. It contains biodiesel in most locations. Premium Diesel Fuel. Everyone wants to obtain premium value without having to pay additional prices. For years, the fuels industry has been marketing and selling Premium Diesel Fuel in the marketplace. The National Conference on Weights and Measures (NCWM) is the group of state regulators in charge of monitoring these claims and definition. Over the last 10 years, there have been a number of changes in fuel composition with ultra-low sulfur fuels and growing volumes of different renewable fuels entering the market. Possibly even more important have been the changes in engine technology and their requirements placed upon available fuels. Following these changes, nearly all diesel fuel now meets the current requirements for Premium Diesel Fuel, so the group is re-evaluating what this claim should entail with today’s fuels. A recent, small fuels working group meeting has concluded that if a majority of the available volume of diesel fuels in the U.S. meets the current definition, is it really a premium for consumers? This working group is evaluating the existing diesel fuel specifications (ASTM D975) and current research parameters that vehicle and engine manufacturers are undertaking, along with fuel producers, to determine if a new set of guidelines should be adopted for diesel fuels to be marketed as Premium Diesel Fuel. Items being evaluated include fuel cleanliness, energy content, corrosion, stability, filter blocking tendencies, lubricity, low temperature operability, injector deposits, and metals content. A long list when compared to the current requirements for Premium Diesel Fuel that are based primarily on a higher limit for the Cetane Number of diesel fuel; a parameter which the group feels may no longer be as relevant. These parameters and new limits may require further advancements in fuel production, changes to fuel handling practices or the addition of specific fuel additives in order to ensure that the fuel is actually a premium for performance. Today’s engines require cleaner and cleaner fuels to prevent the injectors and fuel filters from fouling, and the parameters being evaluated are expected to reflect these needs. The current specifications and limits are designed by fuel experts at ASTM to be performance limits, or the minimum requirements for diesel fuel to be suitable for use within a compression ignition (diesel) engine. The parameters chosen by this NCWM working group will certainly have limits stricter than the ASTM specifications. However, the question at this point is more about what additional parameters and test methods might be needed to define a premium fuel over how much stricter to become on some of the limits. As the landscape of available fuels changes, it is expected that new test methods may be necessary to help define satisfactory engine performance. Fuels-related issues arise across the U.S., and it is often difficult to determine a singular root cause. This is part of the reason why experts are typically more concerned about developing test methods that evaluate performance over limits designed to restrict levels of certain components. In the end, consumers will be able to feel confident that whether they choose a Premium Diesel Fuel or not, that the fuel has been designed to provide satisfactory performance for all their needs. The EPA recently released a new proposed regulation titled: “Renewables Enhancement and Growth Support,” or REGS rule. Throughout 374 pages of proposed new definitions and explanations, the EPA attempts to address changes in the marketplace, while promoting the growth of renewable fuels. It is important to note that not all new alternative fuels are created equally, nor should be described under a single generic term. Over the last fifteen years, biodiesel may be the most widely tested and approved advanced, renewable fuel in the marketplace. Moving forward it will be important for blenders and fuel purchasers to make more informed decisions on their fuel choices. There are suitable and proven new fuels in the marketplace that will help to provide consumers with a choice that can help to meet their needs. The rule seeks to address gasoline blends with ethanol from 16 to 83 percent all as “Ethanol Flex Fuel,” with protective fuel quality specifications that are consistent with gasoline and blends of 15 percent ethanol and less. For biomass-based diesel fuel blends, the agency is creating a new definition for “biointermediate” that will allow feedstocks to be partially processed at one facility before finally becoming a finished renewable fuel at another facility. This will allow for potentially more approved pathways and greater flexibility with feedstocks to be used for biodiesel production. Originally, the RFS was designed with the expectations that a qualified renewable biomass would be converted into a finished renewable fuel at a single facility. Higher renewable volume obligations under the RFS have helped create new available feedstocks for the production of renewable fuels that do not have approved pathways. Many of these new feedstocks are being used today to create renewable fuels which may also be generating invalid RINs if the feedstocks do not have an approved pathway. These new biointermediates will help to further a number of new approved pathways providing greater ability to meet the needs for higher volumes of biomass-based diesel fuel. Additionally, the EPA has further defined and explained “viscous renewable diesel,” or VRD. EPA describes it as a vegetable oil that can be used as either a feedstock for biodiesel production or a drop-in renewable diesel fuel. 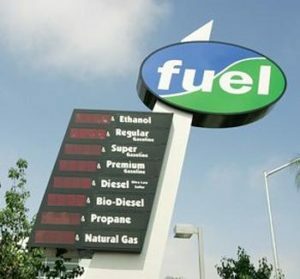 As a fuel, VRD can either be blended with diesel fuel for use as a transportation fuel or use in its neat form in engines “specifically modified to run on it.” While the use and approval of VRD fuel is not new, the rule is proposed to clarify when and how the renewable diesel can generate RINs under the RFS program. The EPA believes that the use of VRD is becoming more widespread, and that its current use leads to potential RIN fraud when the VRD generates RINs but is then sold to a biodiesel producer as feedstock leading to a second set of RINs on essentially the same gallon. Other groups such as Clean Cities, the Department of Energy and the Truck and Engine Manufacturers Association (EMA) have previously published positions against the use of vegetable oils within diesel fuel. The findings document issues with longer term use of vegetable oils having impacts on fuel pumps, injectors and emissions control devices that have not been designed for use with these types of fuels. 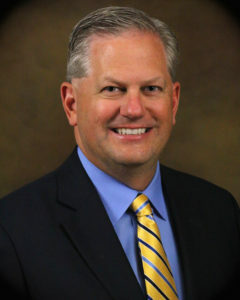 The National Biodiesel Board has named Donnell Rehagen as the trade group’s chief executive. Rehagen was named interim CEO in June after serving 12 years as NBB’s chief operating officer. Donnell has a Masters in Public Administration from the University of Missouri – Columbia and a Bachelor’s Degree in Computer Information Systems from Southwest Missouri State University. He was born and raised in Jefferson City, where he and his wife Shelly have raised four children. They are also the proud grandparents of two young grandsons. How will biodiesel fit into the future of our nation’s energy landscape with a new Administration in place, new data affirming biodiesel’s carbon benefits, and groundbreaking policies like California’s Low Carbon Fuel Standard in place? 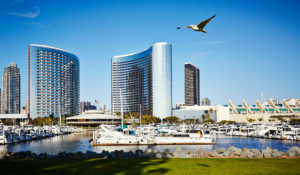 The New Year marks the perfect time and San Diego makes the ideal place to explore these topics and more during the National Biodiesel Conference & Expo, Jan. 16 – 19. Registration is open and a schedule of rich educational sessions is in place for the fourteenth annual conference, including at least one session designed with petroleum professionals in mind. On the East Coast, biodiesel stakeholders have invested for a decade in developing a new market: Bioheat® fuel. Projections of biodiesel demand range from 200 million to one billion gallons at full market saturation. To the west 3,000 miles, biodiesel stakeholders are now tackling increasing biodiesel demand in California. What does the East have in common with the West? Emerging biodiesel demand that requires coordination and planning to mobilize domestic biodiesel into position ratably, safely and competitively. Challenges prevail but we have your brain trust in the house! Other onsite opportunities include a robust exhibit hall, a diesel vehicle showcase and popular Ride-and-Drive, networking receptions and a poster session on the next generation of research. The hotel room deadline is Dec. 23, and regular registration ends Jan. 4, so don’t delay reserving your spot at this premier biodiesel event! Visit BiodieselConference.com. On November 3, The Kentucky Petroleum Marketers Association (KPMA) launched a statewide campaign promoting the use of Bioheat® fuel as a cleaner burning, renewable alternative to traditional heating oil for Kentucky homes and businesses. The campaign will raise awareness to the many operational, environmental, and economic benefits of using Bioheat fuel in their existing oilheat equipment during the upcoming winter months. Bioheat fuel is a blend of biodiesel and ultra-low sulfur heating oil. Made from an increasingly diverse mix of resources such as soybean oil, recycled cooking oil and animal fats, biodiesel can be blended safely into heating oil to create Bioheat blends ranging between 2% and 20%. One of KPMA’s major campaign initiatives will be the growing presence of Bioheat-branded fuel delivery trucks from local heating oil dealers—the first of which was on display at KPMA’s Tank & Technical Conference in early November. 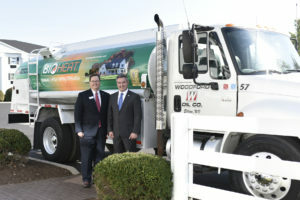 The truck, owned by Woodford Oil in Danville, KY, is wrapped in the Bioheat logo and directs consumers to www.heatingkentucky.com to learn more about this promising alternative fuel source. Local media attending the conference were able to take photos of the truck and were provided educational materials to introduced them to the Bioheat story. Two other truck wraps are currently in progress, with a total of 19 truck wraps being planned for the coming year. In addition to wrapping trucks, KPMA is planning to promote Bioheat fuel online and through state and local media outlets. For more information, visit www.heatingkentucky.com or www.kpma.org. ← Getting Ready for Winter with Bioheat Fuel!